Hay fever is a common name for a condition called allergic rhinitis. It is an allergic reaction of the nose, throat and eyes. The allergy causing substances (or allergens) are commonly pollens from plants. For most people hay fever usually occurs about the same time each year, often in spring or summer. This is when a lot of pollen is in the air because many grasses, weeds and trees are flowering. Hay fever at this time is called seasonal allergic rhinitis. However some people get hay fever all year round. This is called perennial allergic rhinitis and the allergens responsible include animal hair, house-dust mites and mould spores. These symptoms are often worse in the mornings and on windy days. It is easy to be confused between and cold and hay fever. The symptoms are similar but with hay fever the mucus from the nose is more watery and there is often more sneezing. Medicines can not stop you being allergic, but they can relieve or prevent hay fever symptoms. Antihistamines: Antihistamine block the action of histamine released when you are exposed to allergens. Antihistamines can relieve runny nose, itching and sneezing symptoms. The most popular antihistamines used to treat hay fever are Cetirizine or Loratadine. These come in tablet form for adults or liquids for children. They are single daily dose and they do not cause drowsiness. Antihistamine eye drops are used for itchy eyes. The are used four times a day. Nasal Corticosteroid sprays: For people with moderate to severe hay fever especially year round or long lasting symptoms, anti inflammatory corticosteroid nasal sprays are effective. These include fluticasone and beclomethasone nasal sprays. They are used daily to relieve nasal congestion. They do take a few days to work so be effective you must use them regularly everyday. 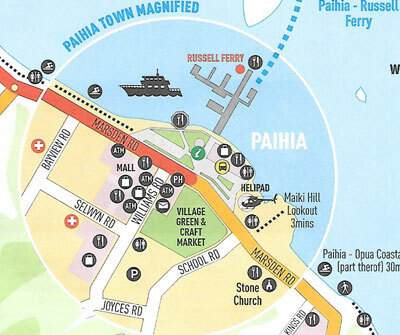 For further information on hay fever contact the Pharmacists at Paihia Pharmacy.